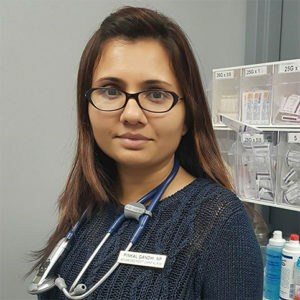 We are the first private family care clinic in London which is run by a Nurse practitioner -Pinkal Gandhi. As a Nurse Practitioner, Pinkal can diagnose a medical condition, prescribe medications, order diagnostic tests like blood work, swabs, urinalysis, x-rays and ultrasounds, treat acute and chronic medical conditions and refer to the specialists. **NP services are not covered by OHIP, therefore, all of our services can be paid by cash, cheque or e-transfer.